This beauty has so much to offer in addition to NO HOA!!!! Location and good taste are key elements in this well maintained property, not to mention the space of not only the home but the 1 acre lot as well. 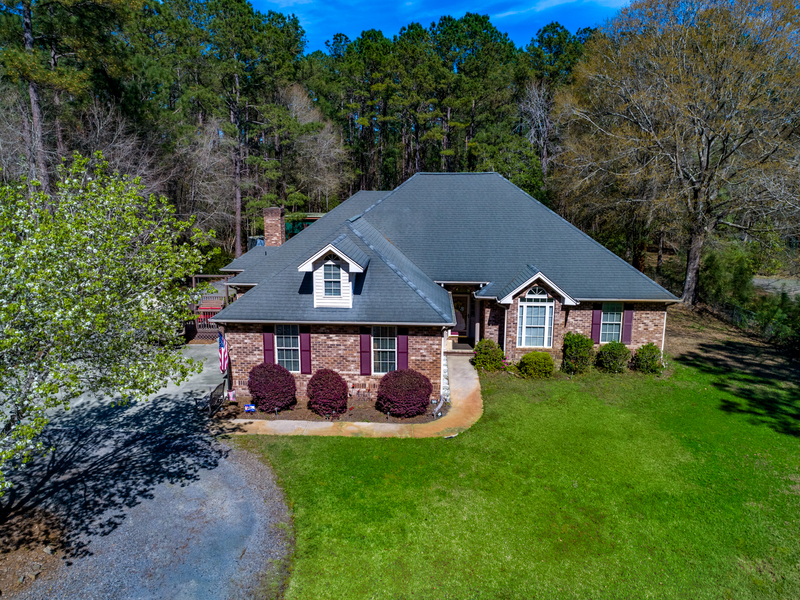 Located close to the boat ramp off Enterprise Rd and all that the Grand strand has to offer you can not go wrong adding this one to your list of must see homes. Outside you will find a huge lot, carport, workshop (mancave, shecave, funcave), detached storage, huge firepit, lots of room for ever popular fish fries or oyster roasts not to mention Southern BBQ's and a place to park all your "toys". Located near the Waccatee Zoo, you may hear the "call of nature" on calm evenings while you enjoy your peaceful screened in back porch or relax with a fall time fire in the large circular firepit adjacent to the outside play and storage area. Inside you are going to find a masterpiece!! Den, Living Room, Dining Room, Kitchen, Pantry extraordinaire, screened in back porch, guest suite upstairs and my most favorite feature - the utility room that is located off the master suite for ease of control!! Not to mention out of site!!! For those of you that would rather have a more visible utilty room, there is plumbing in place in the attached two car garage for you. But I truly believe you will love the function and availabilty of the "hidden" utility room. You will experience a huge sense of peace and tranquility as you enter this graceful home, that is so inviting and has much to offer. Entering this home through the front door you will enjoy the sense of calm as you walk into a spacious foyer which opens onto a large living room area that overlooks the graceful screened in porch giving you a private view of your back yard. To the left is a hall leading you to a wonderful open kitchen and den that offers not only granite counter tops but a spacious pantry along with all the bells and whistles that you are going to find in this beauty. The highly functional kitchen flows into the den which offers a fireplace, bay windows and a beautiful view of your back yard and play areas. The living room and combination dining room offer room and comfort that you will be amazed at the possibilities of your own furnishing placement. Boasting two bedrooms, each with full baths downstairs and one bedroom with full bath upstairs this home also has a 1/2 bath for guests that is enchanting right off mud room entry. The wood and tiled floors show pride of ownership and give each room their own unique ambiance. The third bedroom and full bath upstairs can be a totally functional third family bedroom or quiet guest space. This area offers tons of storage and additional floor space for hobbies, crafts, etc. You are going to LOVE this home. Call your agent today to schedule your own showing and be ready to be amazed!! !